Watch an informational video about Friends of Panthertown and Panthertown Valley. Panthertown Valley is one of the most spectacular areas in the southeast with cascading waterfalls, trout streams, panoramic views, sheer granite cliffs, the headwaters and the east fork of the Tuckaseegee River, and biologically diverse habitats for wildlife and rare plant species. Because of its outstanding geologic formations, forests, streams and native plant life, Panthertown is designated as a Blue Ridge National Heritage Area natural heritage site and by The Wilderness Society as one of North Carolina’s Mountain Treasures. Thirty miles of backcountry trails in Panthertown Valley are open to hikers. Many of those trails also allow mountain biking and equestrian activities. Panthertown Valley, often referred to as “the Yosemite of the East”, is a popular 6,295 acre backcountry recreation area within the complex. Panthertown has thirty miles of U.S. Forest Service officially designated trails in the Nantahala National Forest plus many miles of Forest Service roads and unofficial user-created footpaths located throughout the valley. According to the U.S. Forest Service, more than 25,000 visitors from around the world explore Panthertown Valley each year. Visitors can enjoy deep gorges and broad valleys, mountain bogs and granitic rock domes, tranquil creeks and plunging waterfalls. Camping is permitted in Panthertown, but groups are limited to no more than 12 people per site. No commercial equestrian or mountain bike outfitter/guides are permitted. Hikers are welcome to explore the many trails and footpaths in Panthertown. Forest Service recommends staying on the trails. Mountain bikers and equestrians are asked to please follow appropriate trail designations. All visitors should use trail etiquette and yield appropriately when passing other users. Panthertown Valley is protected as part of the Panthertown-Bonas Defeat bear sanctuary. No bear hunting of any kind is permitted in Panthertown. This 6,295 acre back-country area in the Nantahala National Forest offers visitors a wide variety of places to explore and has become a popular destination for hikers, mountain bikers, equestrians, rock climbers, anglers, school groups, summer camps, scout troops, ornithologists, etc. A network of trails and old logging roads lead to waterfalls, bogs, and spectacular overlooks of the valley and its cliff faces. Be aware that a number of visitors get lost in the area each year because trails are unmarked; therefore, visitors are advised to bring a map and compass. Due to increased popularity in recent years, the trails and fragile ecosystem has sustained significant damage and many people have gotten lost because trails are not marked. Therefore, the Friends of Panthertown are working with the Forest Service to establish a more sustainable trail system for multiple users by marking trails, designating trails for appropriate recreational uses, developing a trail map, and educating users about appropriate recreational uses and leave-no-trace ethics. The most rugged gorges in the valley escaped logging and contain some old growth trees and there are many ecologically sensitive areas and rare communities of plants that thrive within the valley. Visitors can lessen their impact by staying on designated trails. Rare ferns, mosses, and liverworts that grow in the wet micro-climates around waterfalls are easily disturbed. For this reason, visitors are encouraged to view the falls from a distance. Spring and Fall temperatures typically range from the 40’s-60’s. Summer temperatures range from the 50’s-80’s. Winter temperatures range in the 20’s-40’s. Hiking is the primary activity of visitors to Panthertown. 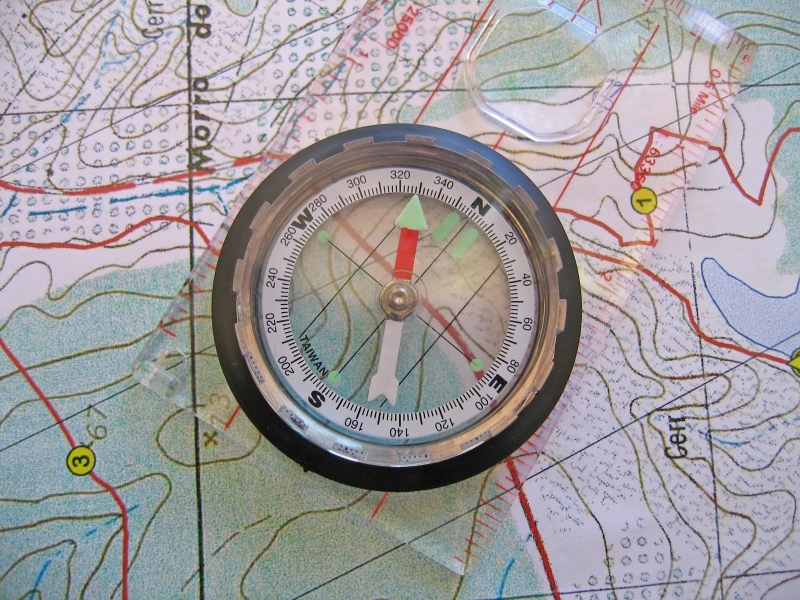 Hikers are encouraged to use a map and compass so as not to get lost. There are literally hundreds of miles of unmarked trails, footpaths, rock hops, and old logging roads that traverse Panthertown. Only the official Panthertown Trails System as designated by the U.S. Forest Service is maintained by Friends of Panthertown. This trail system consists of 30 miles of hiking and mixed-use designated trails. Guide services are required to have a permit with U.S. Forest Service. No mountain bikes or horses are allowed on hike-only designated trails. Mountain bikers may ride on bike designated trails in Panthertown and on all U.S. Forest Service gated service roads throughout the National Forest. U.S. Forest Service rules prohibit ALL COMMERCIAL mountain bike outfitters and guides in Panthertown. For more information about mountain biking opportunities in western North Carolina, contact Pisgah Area SORBA or Nantahala Area SORBA, both local chapters of The Southern Off-Road Bicycle Association (SORBA), the largest nonprofit mountain biking organization in the Southeast. Check out the mountain biking trails in Panthertown Valley at Trailforks. Equestrians and their horses are allowed in Panthertown only on horse designated trails. No commercial operations are permitted. U.S. Forest Service rules prohibit ALL COMMERCIAL horseback riding and guided trips. No horse trailer parking is available at Cold Mountain Gap entrance. Overnight backcountry camping is allowed in Panthertown. No permits are required. Groups are limited to no more than 12 people per site. No camping within 50 feet of streams or rivers in Panthertown Valley. Fishing in Panthertown is managed by the North Carolina Wildlife Resources Commission under the “Wild Trout Waters, catch and release, single hook, artificial lures only” classification and a valid NC fishing license is required. We support the mission of our friends at Tuckaseigee Chapter of Trout Unlimited and the work of the Watershed Association of the Tuckasegee River (WATR) to protect our precious river. Panthertown is part of the Roy Taylor National Forest within the Nantahala National Forest. Panthertown Valley has changed “ownership” many times throughout its history. The valley was logged in the 1920s and 1930s by the Moltz Lumber Company, and was then sold in the 1960s to Liberty Properties who had plans to convert the valley into a resort. The Blue Ridge Parkway also had plans for a route through the valley. When those plans fell through, Duke Power Company purchased the land in order to construct a large electrical transmission line spanning the valley’s width. In 1989, the North Carolina Chapter of the Nature Conservancy purchased all but Duke’s right-of-way for $8 million as an addition to Nantahala National Forest. Today Panthertown is managed by the U.S. Forest Service with funding and volunteers provided by Friends of Panthertown. In 2009, working with Friends of Panthertown to gather public input, the U.S. Forest Service Nantahala District Ranger Mike Wilkins signed a decision memo concerning the Panthertown Valley Trail Project. A trail system map was released and trail uses were designated for hikers, mountain bikers and equestrians. Download USFS Panthertown Trail Project Decision Memo (3.3MB PDF). From the NC 107 / US 64 Junction in Cashiers, take US 64 east for 2 miles to Cedar Creek Road (SR 1120) on left. Take Cedar Creek Road 2.3 miles to Breedlove Road (SR 1121) and turn right. Go 3.5 miles to end of pavement, turn left onto gravel road to parking area. Trailhead begins here for Panthertown Valley Trail (FS 474: hike, bike, and horse), Blackrock Trail (FS 447: hike, bike, and horse), and Blackrock Spur Trail (FS 447A: hike only). Please note: There is no space for horse trailers at this trailhead. From Brevard, take US 64 west for 16 miles to Blue Ridge Road (NC 281) in Lake Toxaway. Turn right. Go 0.8 miles to Cold Mountain Road. Turn left and go 5.8 miles to end and turn left onto Panthertown Road (gravel). Go 0.1 miles to parking lot entrance, on right. Trailhead begins here for Panthertown Valley Trail (FS 474: hike and bike only), Greenland Creek Trail (FS 488: hike only), Mac’s Gap (FS 482: hike and bike only). NO HORSE TRAILER ACCESS AT COLD MOUNTAIN GAP. THERE ARE NO HORSE TRAILS ACCESSIBLE FROM THIS TRAILHEAD. From the NC 281 / US 64 Junction at Lake Toxaway, take NC 281 north for 9.1 miles to Rock Bridge Road (SR 1140) on left. Take Rock Bridge Road for 0.8 miles to small parking area with Rattlesnake Knob Trail (FS 452: hike, bike, and horse) on left. Continue for another 2.3 miles to a larger parking area, suitable for horse trailers. The Turkey Knob Trail (FS 469: hike and horse only) starts across the road from the large parking area. Please remember to always practice the Leave No Trace principles of outdoor ethics when visiting Panthertown Valley and Nantahala National Forest. Pack it in, pack it out. Leave nothing but footprints, take nothing but photographs. Are the trail designations shown on the map on this page still accurate? Was considering a visit and wanted to make sure of what I could ride. Visited the area last week… must obtain a map… Forest Service signs are visible….and map is easy to understand…..the markers will tell you what is allowed and what is not….most favorite camping area is near SchoolHouse Falls…. you can see and hear the Falls…. it is a visibly large campsite that could support no more than 3 2 man tents…there was even some firewood left behind for our use….. great day trip also….only 3.3 miles to walk down from Salt Rock Parking area…..hardest area is on the front end of this trail…mostly downhill, but when returning steep grade… bring poles if you own any….visit was June 30 thru July 1st, 2012… C.
Great camping the weekend of 5/1/2015 – – saw a mink scampering on the sandy creek bank off od Macs Gap Trail near the Burrell Falls trail junction. But really crowded with campers, too.